This recycled artwork was first commissioned by Bonington Gallery, Nottingham. There are four works in the Bathroom series and this is the second. The series begins with Barbara Cartland and Mills & Boon paperbacks and, by continuing and developing the layering process goes through several stages to arrive at a semi-translucent material in the final fourth part. The title is taken from a phrase found on the first page of one of the books I used to construct the piece. Beneath our too rationalised and civilised western world lie most of the things I am interested in – things such as archaeology, crop marks, iron age hill forts, long barrows. Also lost and buried watercourses, cisterns, and forgotten rivers. 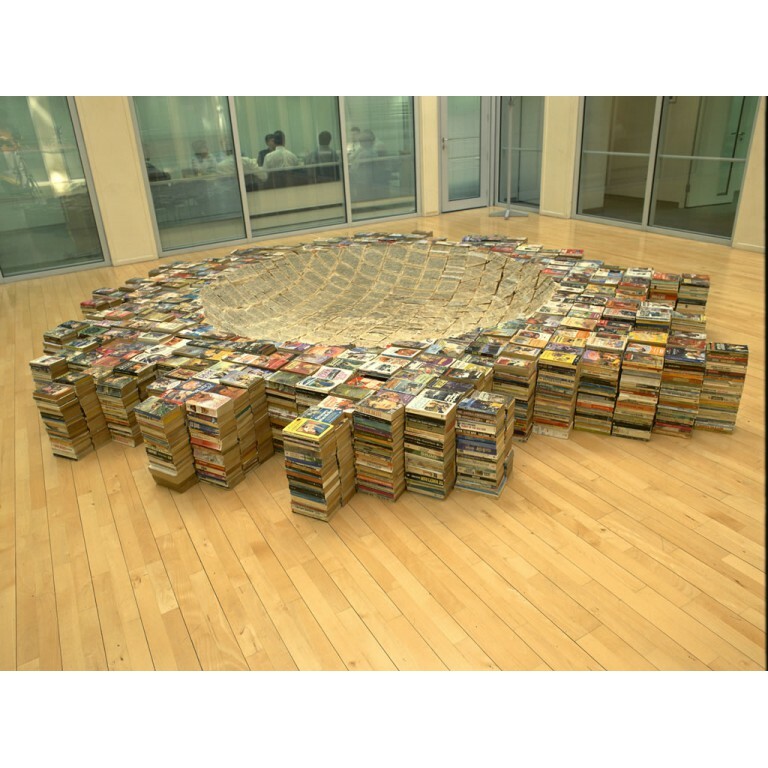 The piles of recycled paperbacks were piled up into stacks and the centre was hollowed out and carved into a saucer-like spherical negative shape. Location: Bonington Gallery, Nottingham UK.